The bonus is a fixed 1,500 Avios points. To get that from a normal conversion where the rate is 250 clubcard points convert into 600 Avios would need you to convert 625 clubcard points (£6.25) of clubcard vouchers. Although conversions are restricted to 50p multiples. Therefore, if you have up to £6 accumulated in your clubcard account this quarter, that have not yet been converted into vouchers, this is a GREAT deal – you are getting over 100% bonus. If you have up to £12.50 (1,250 cc points) accumulated your CC account this quarter, not yet issued as vouchers, it is still a very good deal you are getting at least 50%. If you have over £12.50 in clubcard points accumulated this quarter you are getting less than 50% bouns. And it is less than 25% bonus when you go above £25. We have seen manual conversion bonuses of 50% in the past. With anything up to £6 I’d be jumping in (more than 100% bonus), probably anything up to £12.50 (50% bonus) as well. Anything much beyond £12.50 this quarter and I wouldn’t do it myself. Obviously the lower the amount you have the better this bonus is, with the optimum being an account with the minimum 150 clubcard points in it. This promotion is only open to Eligible Participants. An Eligible Participant is a Tesco Clubcard member who joins the Tesco Automatic Opt In scheme and selects to transfer their Tesco Clubcard points to Avios each quarter. Avios UK Members who join Tesco Automatic Opt in by 11.59pm on Friday 03/05/13 and collect a minimum of 150 Tesco Clubcard points (which are automatically transferred to Avios at the end of the period) will be awarded 1,500 bonus Avios. 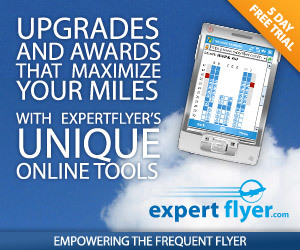 1,500 bonus Avios will be awarded by 31/05/13. If you Automatically Opt In after 11.59pm on Friday 03/05/13 you will not be eligible for this offer. Bonus Avios are not available to British Airways Executive Club members who join Tesco Automatic Opt In. Avios are issued and redeemed in accordance with Avios terms and conditions. The Promoter is Avios Group (AGL) Limited, Astral Towers, Betts Way, London Road, Crawley, West Sussex, RH10 9XY.